Tata Motors isn’t very well known outside of its own market, but if it manages to turn out production models from its most recent concepts, it could find itself in the limelight. 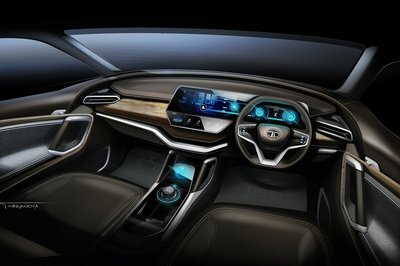 The 45X Coupe and H5X Concepts weren’t bad, but it’s almost like we’re watching the brand grow a little bit at a time, and you’ll think the same thing once you take a good look at the Tata E-Vision – an electric concept that has the looks to put some serious hurt on some of the big boys, if Tata can ever actually bring it to the market. With so many hot supercars and concepts on the 2018 Geneva Motor Show floor, it’s easy to ignore the more mundane automobiles or vehicles from lesser known automakers. But, if you join this year’s event, make sure you stop by the Tata Motors booth because the Indian carmaker has three interesting concepts on display. 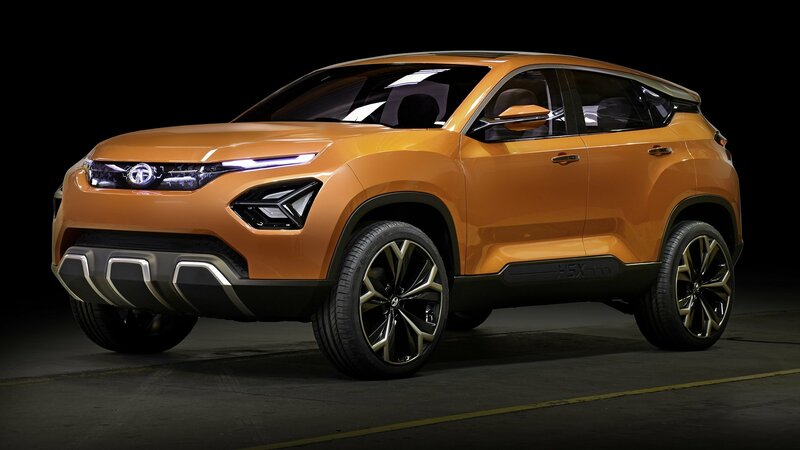 One of them is the H5X, a brand-new crossover concept that will inspire Tata’s upcoming people haulers. Just like the E-Vision, a good-looking and very promising sedan, the H5X employs the company’s Impact 2.0 design language, which will trickle down in all of Tata’s vehicles in the near future. Common features are quite obvious, starting with the very slim headlamps up front and the solid, glossy grille. Around the sides, we can see pronounced character lines and massive wheel arches housing big wheels. But, it sports unique features of its own, like the three-piece foglamps, the split D-pillar that gives a floating roof effect, and conventional door handles. Much like the sedan, the H5X’s rear end is highlighted by thin and long taillights, while the lower fascia feels massive and muscular. Of course, not all of these styling features will make it into production, but I have to hand it to Tata for creating such an appealing design. More interesting bits come from the drivetrain department, as the H5X is Tata’s first vehicle built on the new Optimal Modular Efficient Global Advanced Architecture. Beyond the long and pompous name. These underpinnings were actually developed in cooperation with Jaguar Land Rover and are derived from the Land Rover D8 platform, used in the Discovery Sport, Range Rover Evoque, and even the Jaguar E-Pace. No word on drivetrains yet, although Tata Motors mentions “diesel” under “fuel type” in the very short spec list available. Local media says that the lower-spec version of the H5X will go against the Hyundai Creta (ix25), while the more expensive cars will compete against the Jeep Compass. The diesel engine is rumored to be a Fiat-sourced 2.0-liter unit. 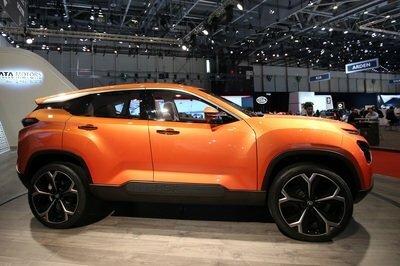 The future of this SUV in Europe is unknown, but Tata is probably working on a strategy for the Old Continent as we speak. 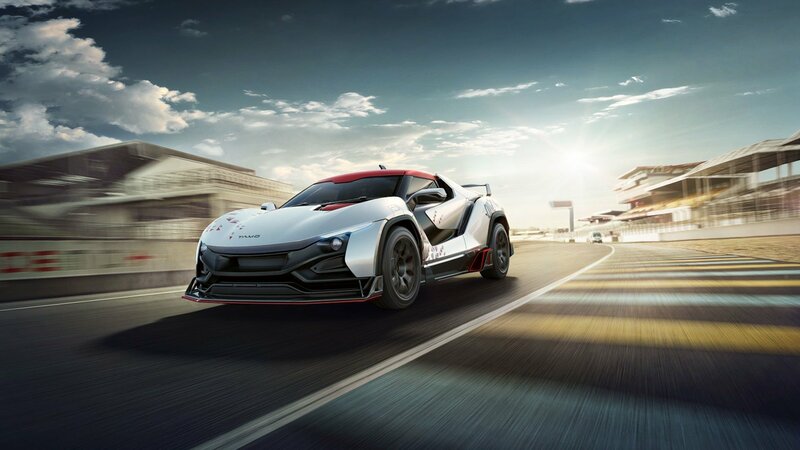 A year after turning a lot of heads with the Racemo two-seater sports car concept, Indian automaker Tata is back at the Geneva Motor Show with three new concepts. One of these concepts is called the 45X, a premium-looking hatchback that could pave the way for Tata’s future in the segment. The 45X was joined in Geneva by the H5X SUV and the E-Vision all-electric sedan. That’s two years in a row for Tata. 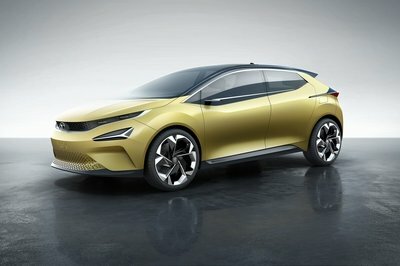 Two straight years that we’ve seen the Indian automaker roll out a concept car that looks very promising. Nothing ultimately come out of the Racemo Concept from last year, but we’re hoping for a different result with the 45X because this hatchback concept deserves to be turned into a production model. That’s how high we are in its design. 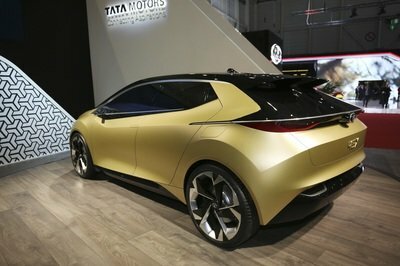 Tata says that the 45X will be built on modern equipment, specifically on a new platform called the “Agile Light Flexible Advanced” Architecture that the Indian automaker is developing for a multitude of body styles. The platform is defined by its lightweight and modular characteristics, allowing it to be used on a range of new models. Hopefully, that “range of new models” includes the 45X. As far as the design goes, the 45X is arguably the most appealing concept of the three models that Tata is showing off in Geneva. The front section has an interesting-in-a-good-way look to it, highlighted by a pair of ultra-slim LED headlamps and a digitally inspired lower grille. Even the other lighting fixtures just below the LED headlamps have a little bit of a McLaren look to them. When was the last time you saw Tata get compared to McLaren? Never? The side profile of the 45X is also impressive, particularly the lines that cut along the body of the hatchback. Tata calls one of them the slingshot line, which runs the width of the hatch with a matching chrome finisher. This line not only separates the taillamps from the roof and rear glass panel of the hatch, but it also complements the two separate spoilers that look as if they’re extending the hatchback’s roof line. From the side, you’ll see how the two extend a little further away from the 45X’s body. It’s a style that isn’t for everyone, but it’s certainly something that Tata should at least look into if it decides to turn the 45X into a production model. As impressive as the concept’s exterior is, the interior is where Tata’s heritage and personality are proudly shown. 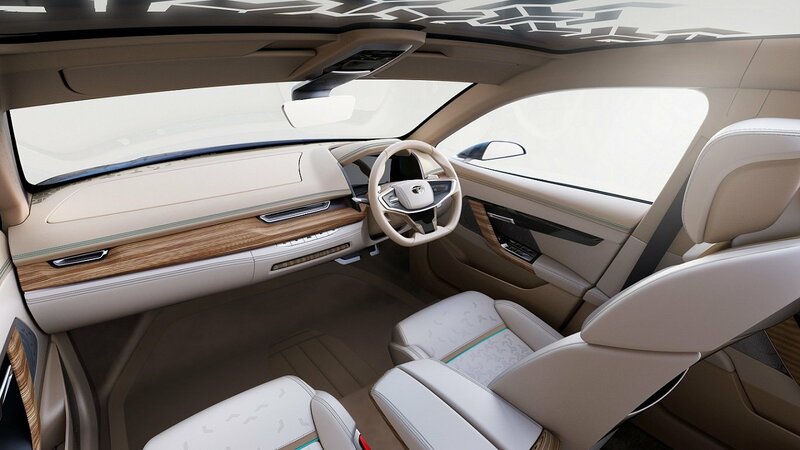 Truth be told, it’s one of the nicest concept interiors we’ve seen in a while. It mixes traditional Indian design themes with modern tech influence. The four sports seats are all independent from one another, but they do share a similar look and style. 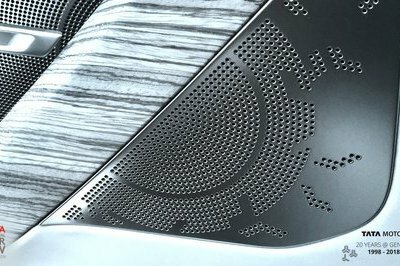 The floor of the cabin and the door panels have the same design as the ones on the hatchback’s lower front grille. Even the 45X’s steering is appealing in its own way. It’s thin and small, but it’s wrapped up in fancy leather to complement its modern design. Tata didn’t include powertrain details, but given the company’s history with small and compact cars, it shouldn’t have too much difficulty coming up with a powertrain solution that will allow the 45X to maximize its potential. There’s a place in the segment for a hatchback that looks as good as the 45X. Hopefully, Tata does something meaningful with what it has with the 45X. It’d be a shame if this prototype suffered the same fate as the Racemo two-seater sports car. 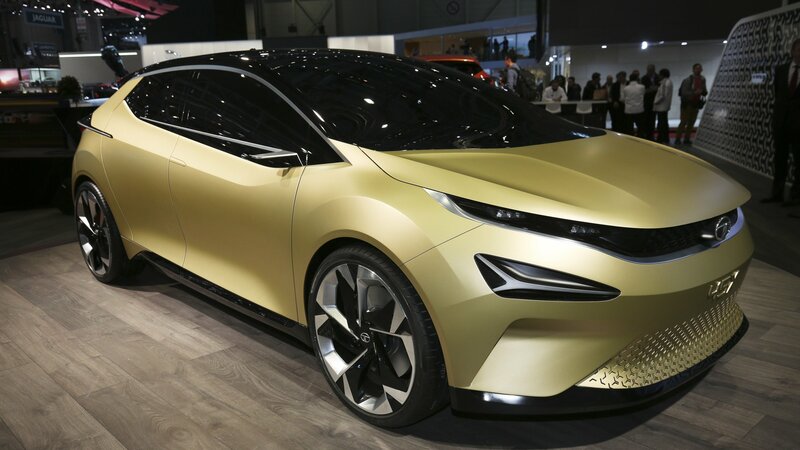 Tata Motors, a prominent Indian automaker and parent company to Jaguar Land Rover, is set to debut a sedan concept based on its 45X Hatchback Concept launched at India’s 2018 Auto Expo. The new model will supposedly be called the 45X Sedan. Its debut will happen at the 2018 Geneva International Motor Show, which kicks off March 6. 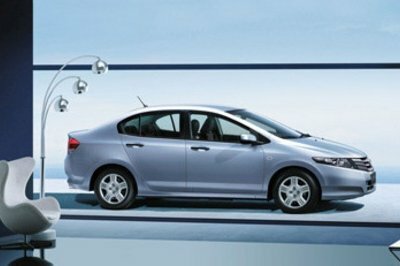 The 45X Sedan will share the same underpinnings as the 45X Hatchback – Tata’s futuristic AMP platform. The architecture is designed to accommodate both left- and right-hand driving position, along with complying with future crash testing regulations. Tata is expected to release production versions of both the 45X Hatchback and Sedan, with both targeting the premium side of their respective markets. The hatch is due first with an expected on-sale date of 2019 in India. Tata will likely announce its plans for the 45X Sedan at the Geneva show. At this point, all Tata has released is a single teaser photos showing a headlight and fog light shining brightly against a darkened background as a faint light highlights the curves and sharp character lines in the 45X’s hood and front quarter panel. Though the photo doesn’t show much, we do expect the 45X Sedan to have a somewhat similar appearance to the 45X Hatchback. The two will share Tata’s Impact 2.0 design language seen on the H5X SUV – another model that debuted at the 2018 Auto Expo. The 45X Sedan will likely be longer than the 45X Hatch’s 167-inch length and have a longer wheelbase than the Hatch’s short 103-inch wheelbase. On the other hand, Tata could keep everything the same for the sake of cost and production, while simply modifying the roofline and rear end design. Nothing is officially known about the 45X Sedan’s interior, however, we’re betting it will look very similar to the 45X Hatchback’s – at least in the dashboard. The all-glass cockpit features a wide, uninterrupted screen used for both the gauge cluster and infotainment system with almost no distinction between the two. 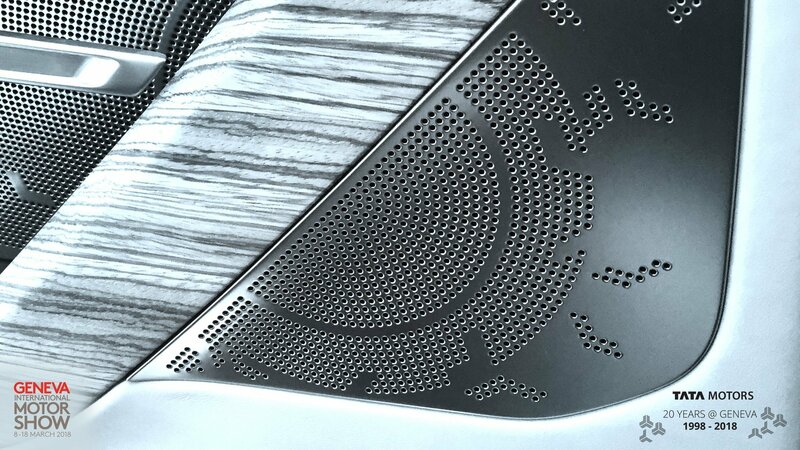 The HVAC controls are even housed on a touchscreen, separately located where the center console normally resides. And since there is no engine ahead of the front occupants, the firewall is pushed very far forward to create a large, open area for legroom. Being a sedan, we expect seating for four or five people, depending on how Tata arranges the interior. Our guess is a production model will have room for five. Tata has not announced powertrain information for the 45X Sedan, though the car is expected to be fully electric. The range could be between 150 and 300 miles and charge times take less than four hours when connected to a 240-volt charge point. Being a sedan, the car will likely be front-wheel drive, though with the AMP architecture, it’s possible Tata could offer all-wheel drive as an option. Tata could announce specifics at the 2018 Geneva International Motor Show, but we don’t expect to hear anything concrete until a production model arrives. The City is a sedan version on the popular Honda Jazz hatchback. In other words, it’s the perfect competitor to the Tata 45X sedan, which is based on the 45X hatchback. The world can sometimes be a magical place. Anyway, the Honda City offers that sub-Civic small-car feel that’s perfect for tight urban roads and those on a budget. Interior room is surprisingly good for such a small car and trunk space is also reasonable. Power comes from a 1.5-liter four-cylinder making 118 horsepower and 107 pound-feet of torque. it mates to a manual transmission or an optional Continuously Variable Transmission. Naturally, only the front wheels receive power. Most impressively, the 2018 Honda City starts at only $15,990 in its base trim and with the manual gearbox. The range-topping model with the CVT starts around $21,590. There’s no wonder why the Honda City was the highest selling compact sedan in India in 2017. Read our full review on the Honda City. Like the Tata 45X sedan and Honda City, the Volkswagen Ameo is a sedan version of its hatchback cousin, in this case, the Volkswagen Polo. 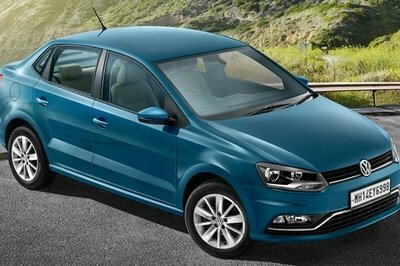 As such, the Ameo is nearly identical to the Polo ahead of its C-pillars. From the dash to the drivetrain, the two cars are basically one in the same. That’s just fine considering the interior is typical Volkswagen and looks modern and minimalistic. The drivetrain comes standard with a 1.2-liter three-cylinder making 74 horsepower and a 1.5-liter TDI with 108 horsepower. Front-wheel drive is standard, as is a manual transmission. An optional seven-speed DSG is available. Price wise, the Ameo starts at $8,400 U.S. dollars at current conversion rates, making a pretty solid bargain as far as new vehicles go. With all the option boxes checked, the Ameo will cost upwards of $16,000. Tata’s movement into the upper luxury levels of the Indian automotive market could likely be attributed to its ownership and huge success with Jaguar Land Rover. While the 45X Hatchback and Sedan won’t be some ostentatious Tata dressed as a Jag, but both could offer a high-tech option for customers needing something on the small end of the size scale. We should know more about the Tata 45X Sedan as information becomes available at the 2018 Geneva International Motor Show, so stay tuned to TopSpeed.com as news breaks. * Exclusive to Indian market? Though the details behind the about-face turn have yet to be confirmed, the publication did cite sources within the company who believe that the sports car project is, at the very least, hanging by a thread. The costs of building the sports car seem to be the biggest culprit behind this sudden about-face. At the very least, it was a casualty of a bigger goal the company is now moving on to, which includes streamlining its business models in an effort to improve production volume and regain market shares. None of these new directives have the Tamo Racemo in it, which is a shame considering that it’s debut earlier this year in Geneva was met with so much promise. None of that excitement matters now, though, because at the end of the day, the proverbial “bottom line” has once again dictated its terms on another automaker. Hopefully, Tata can sort out all of the current issues it has and revisit the Tamo Racemo in the future. Just don’t count on it happening anytime soon. The news about Jaguar Land Rover’s parent company, the India-based Tata, using some of JLR’s platforms for its own models isn’t really news. That information has been floating around since last summer. However, it appears Tata has now tapped the new Land Rover Discovery Sport’s LR-MS underpinnings to be the first platform it will use in constructing a new segment of “world-class” vehicles. 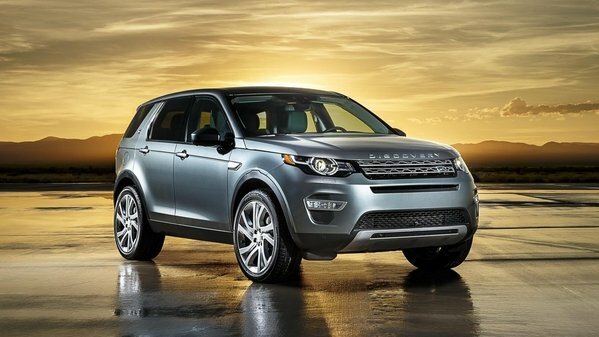 Tata Prepares New Model Based On The Discovery Sport Platform originally appeared on topspeed.com on Thursday, 26 February 2015 15:30 EST.